That feeling when you're a bad manager because your new furniture shop is just a collection of old NPCs from 2012-2015. Don't forget, the level was also made by someone who hasn't worked there in MONTHS. I can imagine the thougt process was like: "Let's place random boxes everywhere to make it look like we made more content than we actually did!" Congrats management, this might be the worst release Zone has ever done. Ever. Funny thing is, I was at IKEA yesterday. Where is the furniture? And while we are on this topic what happened to iZone? I haven't played in a while since Tashkin was manager and I personally thought things were fine. Tash left, Alex became manager for a little bit and got removed because there were no major updates/miraculous surge in zone players a month after he took over (if that makes sense), then Stephane gave Zone's management away to the manager of Delteria in hopes of improving Zone. However, Delteria's manager (can't remember his name and honestly I'm glad) didn't want to waste his time managing Zone so he delegated the manager position to Chelterrar who at the time was the leader of the levels department (now managing a completely different server than the one he worked on and played on. Then Chelterrar had some major serious issues that got him fired, and then Delteria's manager delegated the manager position to Blackfires who at the time was an events admin if I remember correctly. That's right. He hosted events. Now managing a server he hadn't worked for or played on. That brings us to today. Truly hard to find someone dedicated enough to take on the position of manager in these games. You can only have so much luck with volunteers and that luck seems to be drying out for Stephane. We all see firsthand the lack of meaningful content coming out Graal games right now and I think a large part of that is there is no incentive for volunteers to get on and work their asses off developing a game so one man can benefit. 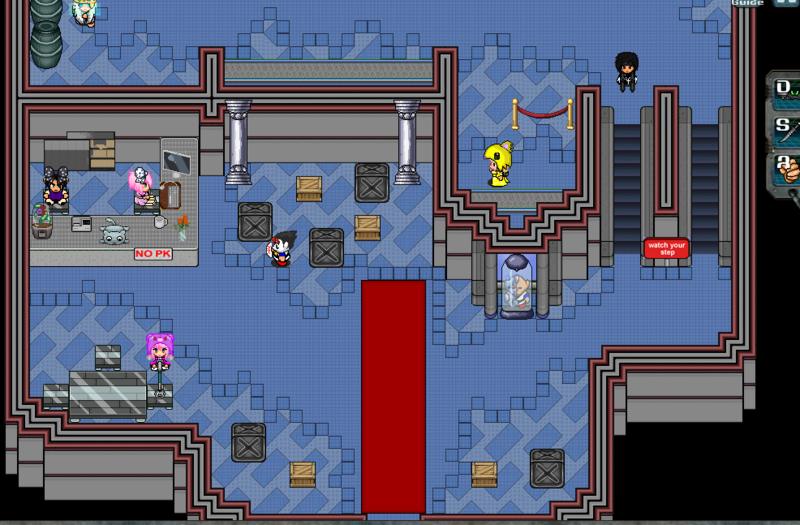 If Stephane wants to maximize Graal's potential it's time to start paying people to develop this game full time. ey carlito's the name I was looking for. And yea, Blackfires is friends with Carlito but I think he worked for Carlito on Delteria as an events team member/leader. I agree. GPs can be volunteers but development of the games needs to be by paid employees, otherwise things - especially on Zone - will stay broken and hideous. That said, I don't see Stephane ever fully committing to paid developers especially when he has volunteers still putting out work, even if it's half-assed work.